1 July 2017 was a major date when it comes to SMSF changes and accurate valuations are key to compliance with many of the changes. 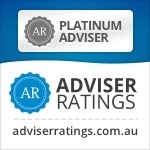 Unsure of what the valuation guidelines are for your self-managed superannuation fund (SMSF)? 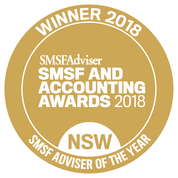 I have compiled a guide on what you need to know about asset valuation as SMSFs are now required to use market value reporting for all their financial accounts and statements. For Financial Year 2019, getting the value right is more important than ever, especially with the impact of the new super changes. Getting it wrong may impact on the fund’s compliance and whether you can make non-concessional contributions or commence a pension. What is the market value of an asset? • the buyer and the seller acted knowledgeably and prudentially in relation to the sale. How do I go about determining market value? For assets such as cash, term deposits, widely-held managed funds, ETFs and listed securities, these can be valued easily each year and should be valued at the end of each financial year. It is typically easy for trustees to value shares, managed funds and other listed investments because they can obtain daily valuations online. Here are a few links that may be helpful for historic share prices or for companies that have been delisted from the exchange. DeListed carries historical share prices for many listed and delisted companies at this website, including prices for the former names of such companies. The prices go back as far as 1986 in some cases and include to mid-year 2009. SMSFs with real estate, exotic assets or investments in private companies or trusts will require additional work from auditors. from an appropriately qualified person, such as an independent registered valuer or real estate agent. The following guide provides an outline of what is required to help in valuing fund investments where market values are not readily available. Property needs to be valued at market value every year at 30 June, but the ATO does not require SMSF trustees to undertake an external valuation for all assets each year but is recommended at least every 3 years. For instance, assets such as real property may not need an annual valuation unless a significant event (i.e. natural disaster, market volatility, macroeconomic events or changes to the character of the asset) occurred that has created the need to review the most recent valuation.. Valuation of real estate can be undertaken by anyone, including the trustee(s), if suitably qualified, as long as it is based on objective and supportable data. Valuation from trustees (with evidence of market valuation such as recent sales or online valuations). We recommend at least a comparison with values of 4-6 comparable properties if doing it yourself. The latest cost-effective option is valuations from online real estate services like RPData can be used so ask your Administrator if they have access to this service. Is the rent at commercial terms? Annual Rental Income & Expenses Schedule from your real estate management agent covering the lease of the property during the year. Some charge $30-$50 for this but if you say it is offered free on your other properties you can squeeze them! Lease agreement organised via a real estate agent or other written lease agreement (see Is your SMSF leasing commercial property: Tips and traps). It can sometimes be tricky to obtain reliable audit evidence to support the value of unlisted investments. The company or trust may not be required to value their assets at market value and trustees must consider the value of the assets held by the entity. For example, where the trust or company holds property, any value should be based on the guidelines for real estate outlined above. Sometimes the other owners (individuals. companies or family trusts) in the trust do not require the same degree of scrutiny and can refuse to incur the extra costs to to suit the SMSF requirements. You will need to work around this issue with your fund sometimes picking up the expense. Another consideration is that unlisted entities may not be required to get their financial statements independently audited, which make them less reliable from an audit perspective. Financial statements of the entity, with evidence that the underlying asset is valued at market value recently. Firstly your fund is not meant to lend money to a fund member or relative of the member under any circumstances. Read here for more detail. Is your SMSF lending money to someone? When your fund makes a loan to another entity or individual not related to a member then the loan agreement will specify the terms and conditions of the loan, including payment terms, interest on the loan and whether the loan it is secured or unsecured. In the case of collectables and personal use assets, the valuer should be a current member of a relevant professional body or trade association such as the Australian Antique and Art Dealers Association, the Auctioneers and Valuers Association of Australia and the National Council of Jewellery Valuers. Collectable and personal use assets cover items such as artwork, memorabilia, collectable coins and bank notes, wine and vintage cars. Metals such as gold and silver are only considered collectable items if their value exceeds the value of the metal based on its weight. If a trustee holds bullion at a storage facility or at the mint the documentation provided by these places will act as proof of the holding to the auditor. • Inventory listing of the type(s) and quantities of metal held. • Confirmation the asset is stored securely and not available for personal use by the members. • Confirmation that the metal(s) are insured for the correct value. Valuation in this format is less costly than holding in the form of a collectible. The market value can easily be verified to live spot prices which are readily available on a number of Bullion dealers’ websites. Your fund’s independent auditor (your accountant may hide this person fairly well in the background but you should make yourself know to them and make it a team relationship not an adversary one). It is their responsibility to be making checks as to whether the annual financial statements properly reflect the market value based on objective and supportable evidence. they may request you get further evidence if not satisfied and they can issue a qualified audit opinion. Any qualified opinion will be reported by the auditor to the ATO. On assessing the auditor’s report if the ATO is not satisfied that the assets are not recorded at market value in the fund’s financial accounts a fine of 10 penalty units (currently $2,100) per trustee can be imposed. The ATO provides guidelines here on their website to assist SMSF trustees when valuing assets for superannuation purposes. For SMSF members affected by the $1.6m transfer balance cap, an appropriate valuation is also essential for FY 2016/17 to determine whether the member’s pension balance(s) may exceed the cap and for purposes of the CGT cost base reset. Small business is hard work. Ask any small business owner and he or she will tell you about the hard work, sacrifices and many hours of dedication it’s taken to get to where they are. Many see their business as their superannuation and have poured profits back in to it over the years. Which is why when they sell, they absolutely deserve to get the highest return they can. While the 2016 federal budget was full of surprises and we have seen back-flips and changes to the proposals, there was some relief for small business owners. All the media attention has been on the changes proposed to be made to superannuation contributions and balances in pension phase. There was, however, some welcome news for small business owners with regard to continued access to the small business CGT tax concessions. Are you selling a business asset and expecting a significant capital gain? Are you looking to retire after the sale of your business? Do you wish to use the sale proceeds to fund your retirement? Subject to meeting the basic requirements, business owners can take advantage of the Government’s small business concessions to reduce or even extinguish any capital gains tax (CGT) realised from the sale of a business or business asset. • up to $1,415,000 of any sale proceeds could be contributed into super without counting towards the concessional or non-concessional contributions caps. If you’re considering this strategy, it’s important to seek professional financial, legal and tax advice specific to your circumstances. You should also note that lifetime limits apply to all contributions under these concessions, and the specific forms must be completed and given to the super fund before or at the time the super contribution is made to be effective. your affiliates or an entity connected with you. spouse, your child under 18 or an entity connected with you. • The asset has been used in the business for at least half of the ownership period or for a minimum of 7.5 years if you’ve owned it for at least 15 years. In 2015, in line with their pending retirement, Sarah and James sold the property for $1 million. Both aged 60, their net assets are less than $6 million and they are looking to use the sale proceeds to fund their retirement. As a result, Sarah and James can contribute $500,000 each into super under the CGT cap election without it affecting their concessional or non-concessional contributions caps for the financial year. This means they could potentially contribute more into superannuation or an SMSF in the same year under their other contribution caps. Opportunities after Government back-flip on the superannuation reforms announced in the 2016 Budget. Superannuation – What’s in , What’s out the door! So the ironclad changes to superannuation turned out to be more flexible and government policy more akin to a revolving door, one second its in and next it’s out the door. 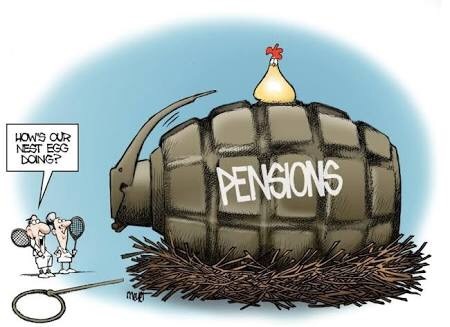 I am angry that the government created all this angst over the last 6 months only to water-down the changes and have damaged yet again the confidence in the superannuation system. They should have consulted with industry, ATO and their own members before announcing such major changes. However change was needed so at least they did show flexibility. Below is a summary of the measures that have been amended. The detail of each measure will only be known once draft legislation is published and the final outcome will only be known after Parliament considers the legislation. Non-concessional contribution cap – Lifetime limit –gonnnnnee! The original proposal was to replace the existing non-concessional contribution (NCC) cap with a lifetime limit of $500,000, including all NCCs made since 1 July 2007. To ensure the passage of the Government’s broader superannuation package through the Parliament, Treasurer Scott Morrison confirmed this measure is to be replaced with an annual NCC cap of $100,000 (currently $180,000). Individuals under age 65 will also be able to continue using the bring-forward rule. This new NCC cap, which applies from 1 July 2017, will be based on four times the lower concessional contribution cap of $25,000. However, people with a superannuation balance of more than $1.6 million will no longer be able to make NCCs from 1 July 2017. The individual’s account balance will be tested at 30 June of the previous financial year. Those with account balances close to $1.6 million would only be able to make use of the bring-forward rule to the extent that the sum of the fund balance, the current year contribution and each brought forward contribution is less than $1.6 million. The threshold amount will be linked to the transfer cap amount relating to amounts being transferred to pension phase. Individuals who have triggered the bring-forward rule prior to 1 July 2017 and have not fully utilised that amount will have the remaining bring-forward amount reassessed on 1 July 2017 in line with the new caps. As the existing rules remain until 1 July 2017, SMSF trustees and other superannuants who are able to utilise the existing thresholds should consider doing so once the legislation is finalised. This is particularly important for those who have total superannuation savings of close to or exceeding $1.6 million. This is likely to be the last year individuals with super savings of at least $1.6 million will be able to make an NCC. So if an SMSF member is under age 65 and hasn’t triggered the bring-forward rules, they could do so this year and contribute up to $540,000 this financial year. This is a real opportunity for those who were concerned they wouldn’t be able to make any further contributions. The recontribution strategy can now be reconsidered where appropriate but limited to the new $100,000 or 3 times that using the bring forward rule if under 65. This may help improve the taxable/ tax-free components of your account and aid with reducing tax on death benefits to non-dependant beneficiaries. Important Note for Small Business Owners: There are no changes to the contributions made under the CGT cap amount of up to $1.415 million relating to the small business CGT concessions. The Government will retain the existing requirement that you must meet a work test to be able to contribute to super between ages 65 and 74 (they had originally proposed to remove this requirement). So to make a contribution after age 65 you need to work at least 40 hours in a 30 day period during the year and before you make the contribution. You are also limited to $100,000 non-concessional contributions with no 3 year bring forward available to you. The Government will continue with the proposal to reduce the concessional contribution (CC) cap to $25,000 from 1 July 2017. However, the commencement date for the catch up contributions will be delayed until 1 July 2018. From 1 July 2018, individuals will be able to make CCs above the annual cap, where they have not fully utilised their CC cap in previous financial years. Amounts are carried forward on a five year rolling basis. Amounts not used after five years will expire. This measure is limited to individuals with a super balance of less than $500,000. There is no detail as to when the account balance is assessed to determine eligibility. If who have the capacity to fully utilise the current CC cap for 2016/17 may wish to consider doing so before the CC cap reduces. Others measures going ahead as proposed. Apply the measures to defined benefit funds. While I understand the need for budget secrecy to some extent, the government need to understand that their changes effect major systems like the ATO, Superannuation software and Accounting software as well as the reality that not all superannuation balance or contribution history information is available or up to date.